Two-piece Pony Time says making music in Seattle is both "great" and "weird." It's an amazing time to live in Seattle, creatively speaking. The Western Washington metropolis is teeming with sounds from across the stylistic spectrum, from rock 'n' roll and hip-hop to experimental and electronic music. For the musicians who make that art, however, things are less certain. The rising cost of living — driven by skyrocketing rents and real estate prices — is transforming neighborhoods and pushing artistic people out of places that used to be somewhat affordable. Stacy Peck, who lives in fast-gentrifying Capitol Hill and drums in the garage-punk duo Pony Time, says making music in Seattle is both "great" and "weird" right now. "Everything is really exciting, and it feels like (we've) been building up to this, so I feel really happy for everybody's success that they're having, and it's really cool to see how all the bands have grown," she says. "But at the same time, everything is just changing so rapidly. I know that change is inevitable, and every restaurant that closes down isn't because of a tech startup... I just wish that people were giving back to the city, and not just taking." Peck arrived in Seattle 15 years ago, a product of a fertile punk/DIY scene in her home region around Cedar Falls and Waterloo, Iowa, where her dad and uncles all worked for John Deere. While on tour selling merch for the Cedar Falls band House of Large Sizes, she "got a good look at the whole country" and felt most at home in Seattle. "I really wanted to make sure that I didn't give up and move home right away," she says. "Seattle seemed a little more my speed (than New York City)." Peck was a bit late to dive into the Riot Grrl scene of the 1990s, but was "very inspired by what women were doing" in the Seattle music scene at the time. In 15 years, that hasn't changed: As half of Pony Time, Peck is part of a female-dominated scene that includes bands like Tacocat, Chastity Belt and Childbirth, a supergroup that includes members of all of the above — including Peck on drums. But Pony Time is Peck's main gig, one she co-pilots with guitarist and bassist Luke Beetham. 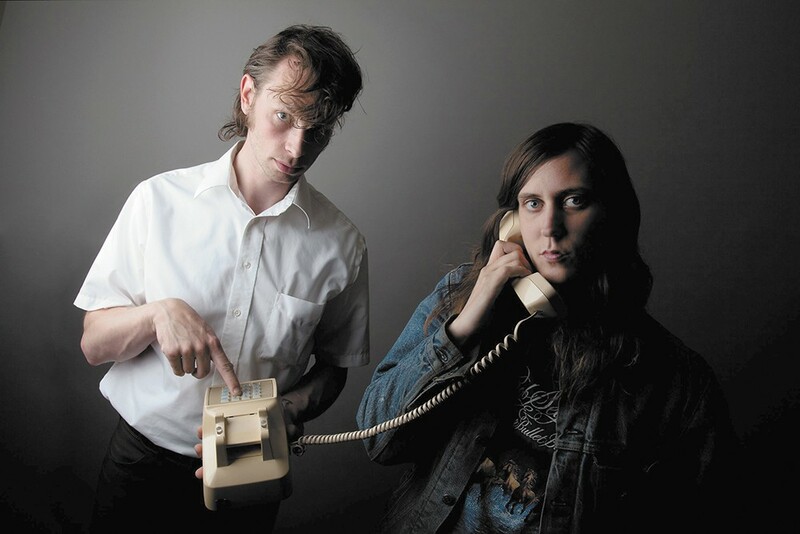 The two met while helping a friend move, bonded over their shared love of punk rock, and have since released four full-length albums in a half-dozen years, most recently Rumours 2: The Rumours Are True, which came out digitally last fall and on vinyl in March. At 11 tracks, it's an ideal slice of bash 'n' pop garage-rock. Beetham's guitar and bass sounds are caked in glorious fuzz and his vocal melodies slither and sparkle, while Peck drives the tunes powerfully from her drum stool. Rumours 2 was a long time coming. The band has had most of its songs done for two or three years, Peck says, and began recording its fourth LP long ago, but didn't like how it sounded. "It didn't sound full. It didn't sound cohesive. It just felt off. So we decided to scrap it and do other stuff for a while, and that's kind of when I started doing Childbirth. And Luke is in another band called Stallion that's pro wrestling-themed," Peck says with a chuckle. "We were kind of bummed out about the record, but then we went back to the guy that recorded our last couple of records and tried again." That guy is Don Farwell of Earwig Studios in Seattle's Georgetown neighborhood, who ably captured Pony Time's raucous vibe. On Rumours 2, Peck and Beetham pull off the nifty trick of sounding exactly like a rock 'n' roll duo — there are no sonic holes where you might expect a bass line or second guitar, but there's also no phantom wall of sound built out of an endless supply of overdubs. Instead, Pony Time went into its second go at the album with very specific sounds in mind.